A new update is available for the My Disney Experience app on iPhone and Android. The update brings estimated times for bus arrivals and departures as well as a new navigational menu. First, let’s take a look at the estimated bus times feature. Please note that guests can access the feature throughout their stay by tapping “See Bus Times” when viewing an active Disney Resort hotel reservation associated with their account. Also new to this update is a redesigned navigational menu. Gone are the days of swiping and digging for information. 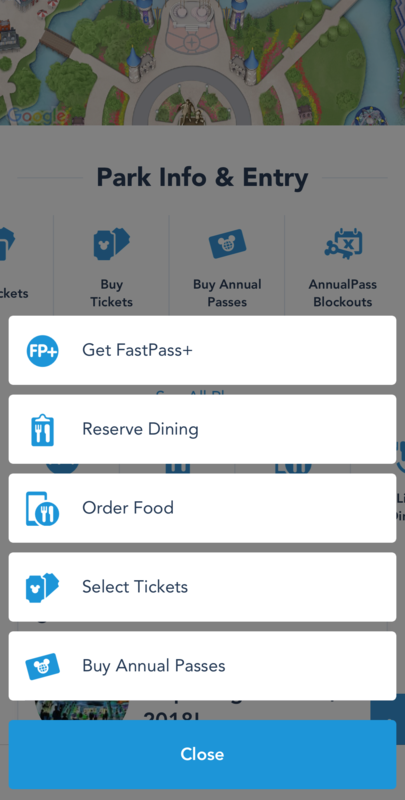 With this update, a constant navigational bar sits at the bottom of your screen, giving you easy access to your account, the map, Fastpass and dining reservation selections, a search page, and more. Here’s our video of the new menu in action. Check your app store now for version 4.12 to get the latest features!